Interested in my thoughts on Marcello Daciano's The Bride? The film begins with text scrolling across the screen about a legend of an Apache woman who was raped and killed on her wedding day. 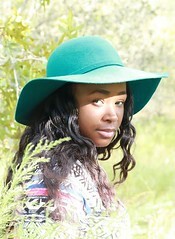 This mysterious woman comes back from the dead for retribution. She brutally murders all the men involved in her death and leaves one alive so he can tell her story to others and instill fear. We flash to the present and meet Marco and Kira, a couple who's spending the weekend in a cabin in the middle of nowhere because they're about to get married. Unfortunately for the two, they get caught in the middle of a kidnapping-for-cash-gone-wrong! Marco is killed in cold blood and Kira puts up a fight but is ultimately raped then viciously murdered. But have no fear; the spirit of the Apache women from the past who obtained her vengeance allows Kira to rise from death to take revenge on her killers. 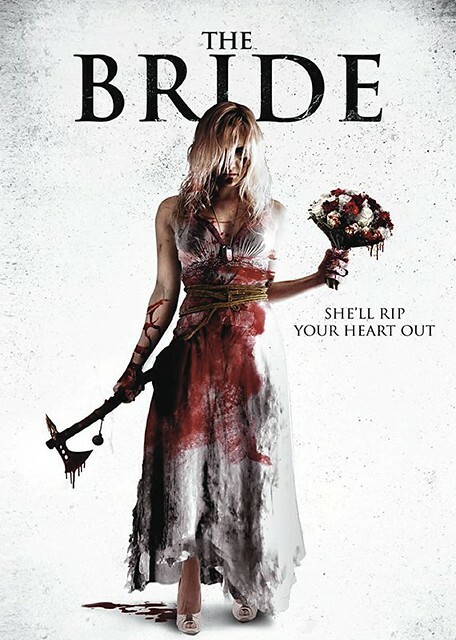 Unfortunately for The Bride, the plot is very cliche and pretty much steals components from Meir Zarchi's I Spit On Your Grave (1978) and Alex Proyas' The Crow (1994). When it comes to the acting, it completely falls short. If the plot was cliche but the acting was amazing or even tolerable, then I'd be open to watch this film again. However, the actors really need to go back to the question board on this, perhaps acting isn't their life. The couple Marco and Kira have no chemistry whatsoever, nor do they even seem like a real couple. The scene in which Kira is a bystander during Marco's death, she literally shows no emotion. It's very weird that you don't care that your fiancé was brutally murdered right before your eyes. Extremely weird! The Bride is a low budget film, however I'm a fan of low budget films, in particular horror low budget. It's the perfect opportunity for the director to show their creativity which is very intriguing! Notwithstanding, the effects and the production overall are worse than those cheesy local auto commercials. The wounds looked as if they were purchased from the malfunctioned discount box from the Halloween store. If your budget cannot allow you to afford guns or at least the sound effects of a gun, perhaps having guns in your film isn't the path for you! The guns in this film sounded ridiculous. That's the only way I can describe it. They even actually showed the Apache ghost girl and she looked unrealistic and simply silly. There's one particular scene that made me roll my eyes extremely hard. I just wanted to unplug my TV when dead Kira comes back from the grave and gets stabbed and decides to wedge a tampon in her wound before patching it with duck tape. What?! How can that even help? What exactly is the point to that? Was that supposed to be funny? Perhaps if The Bride was a comedy horror, it would have been totally acceptable. Unfortunately, this is supposed to be a straight arrow horror thriller revenge flick. The kills weren't entertaining. They all seemed to be dull and somewhat drawn out. Truth be told, I don't have anything positive to say about this film. Overall, The Bride is a frustrating film that I unfortunately cannot recommend. The Bride's execution is sloppy and it's something we've all seen many, many times before. Perhaps if you do decide to watch this film, be forewarned that there are no thrills or much horror. Are you interested in watching a revenge film? Why not go with I Spit on Your Grave or The Crow. Both are cult classics and you'll be entertained. 1 out 5 queen skulls!